We hypothesized that mechanical compression of the knee in rheumatoid arthritis (RA) would mobilize occult extractable fluid and improve arthrocentesis success. Sixty-seven consecutive knees with RA and 186 knees with OA and were included. Conventional arthrocentesis was performed and success and volume (milliliters) determined; the needle was left intraarticularly, and mechanical compression was applied with an elastomeric knee brace. Arthrocentesis was then resumed until fluid return ceased. Fluid was characterized as to volume and cell counts. In the RA, knee mechanical compression decreased failed diagnostic arthrocentesis from 56.7% (38/67) to 26.9% (18/67) (− 47.4%, p = 0.003) and increased absolute arthrocentesis yield from 4.7 ± 10.3 ml to 9.8 ± 9.8 ml (108% increase, 95% CI − 8.5 < − 5.1 < − 1.7 p = 0.0038). Total extractable fluid yield was 96% greater in RA (9.8 ± 9.8 ml) than OA (5.0 ± 9.4 ml, p = 0.0008), and occult extractable fluid was 77% greater in RA than OA (RA 5.3 ± 8.7 ml, OA 3.0 ± 5.5 ml, p = 0.046). Large effusions versus small effusions in RA demonstrated increased neutrophils in synovial fluid (p = 0.04) but no difference in radiologic arthritis grade (p = 0.87). In contrast, large effusions versus small effusions in OA demonstrated no difference in neutrophils in synovial fluid (p = 0.87) but significant different radiologic arthritis grade (p = 0.04). Mechanical compression improves the success of diagnostic and therapeutic knee arthrocentesis in both RA and OA. Large effusions in RA are associated with increased neutrophil counts but not arthritis grade; in contrast, large effusions in OA are associated with more severe arthritis grades but not increased neutrophil counts. • Mechanical compression of the painful knee improves arthrocentesis success and fluid yield in both rheumatoid arthritis and osteoarthritis. • The painful rheumatoid knee contains approximately 100% more fluid than the osteoarthritic knee. • Large effusions in the osteoarthritic knee are characterized by higher grades of mechanical destruction but not increased neutrophil counts. 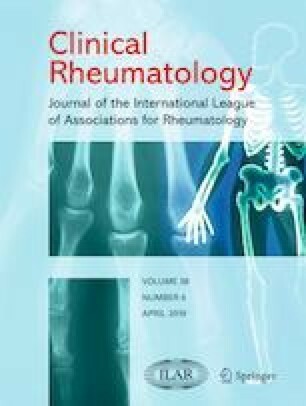 • In contrast, large effusions in the rheumatoid knee are characterized by higher synovial fluid neutrophil counts but not the grade of mechanical destruction, indicating different mechanisms of effusion formation in rheumatoid arthritis versus osteoarthritis. The authors would like to thank Jackie Cremar for logistic assistance in preparation of this manuscript.